When life hands you strawberry preserves, make lemonade! At least, that was my solution to use up the six cups (!!) of homemade strawberry preserves I had on hand after a berry binge at the farmer’s market last week. In this easy recipe, the sweet flavor of strawberry jam is brightened with fresh lemon juice and ice water. It’s perfect for sipping on a warm spring night! If you’re looking for a shortcut, I recommend substituting Confituras’ strawberry vanilla bean jam for homemade and using an electric juicer for the lemons, if you have one. 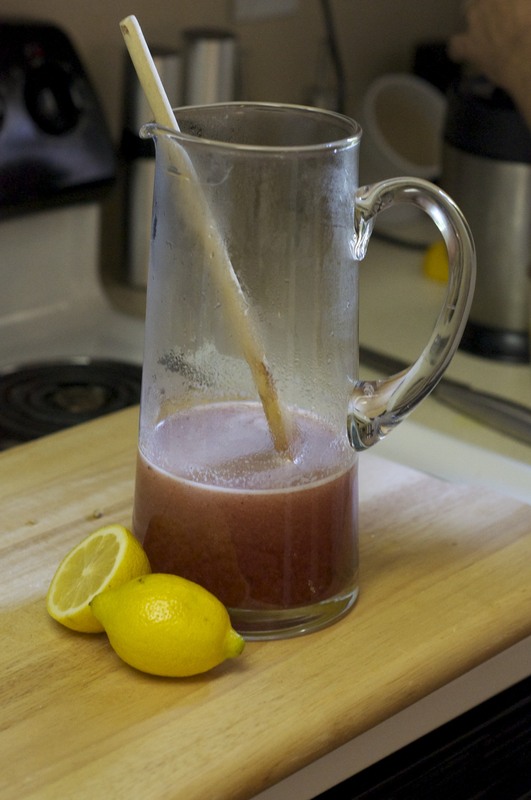 Method: Juice lemons and strain juice for seeds. Set aside. Next, puree strawberry preserves and sugar in a blender until mixture is completely combined and smooth. If you’re put off by strawberry seeds in your lemonade now is the time to strain the strawberry mixture through a fine mesh sieve. 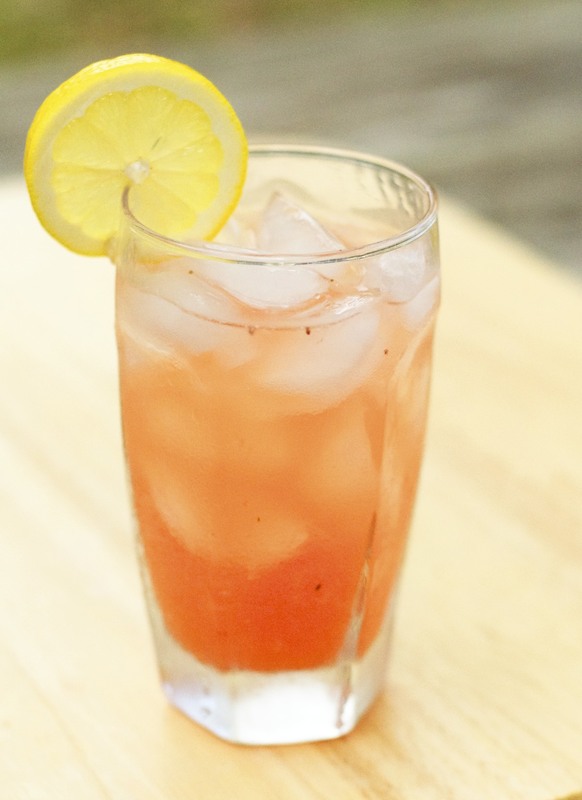 I skip this step since I like the rustic look of the lemonade with strawberry seeds. Microwave two cups of water in a microwave-safe container for two minutes. Carefully pour sweetened strawberry preserves and hot water into a two-quart pitcher and stir until sugar is completely dissolved. 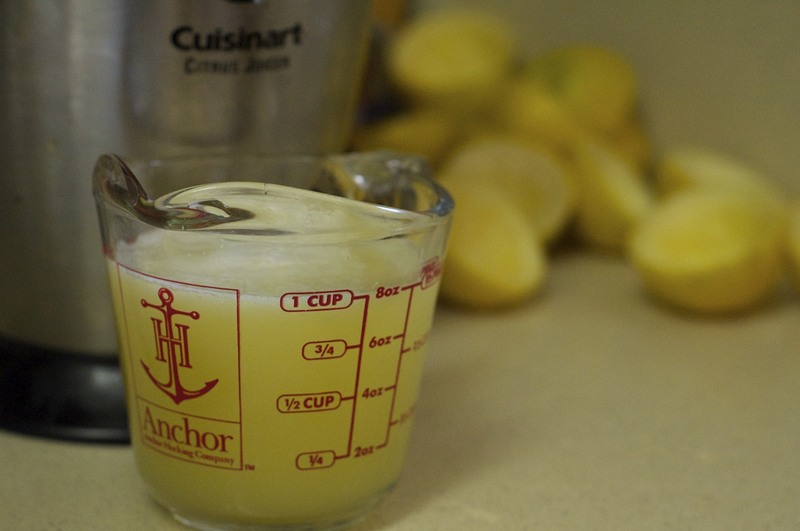 Next, fill the pitcher 2/3 of the way full of ice, add the strained lemon juice, and stir to mix the lemonade together. 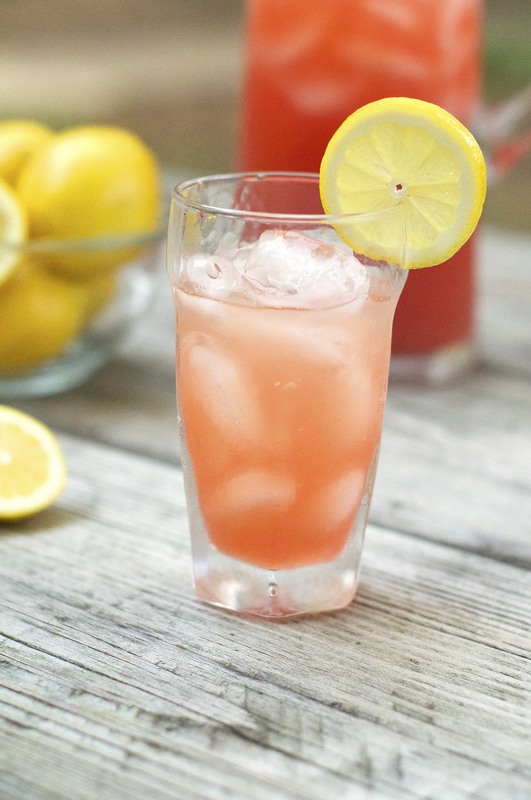 Pour lemonade into ice-filled glasses and garnish with a slice of lemon. If you’re not planning to serve this drink immediately, it keeps beautifully in a pitcher in the fridge for several hours. You should stir it before serving since the the strawberry part of the lemonade will settle a bit.